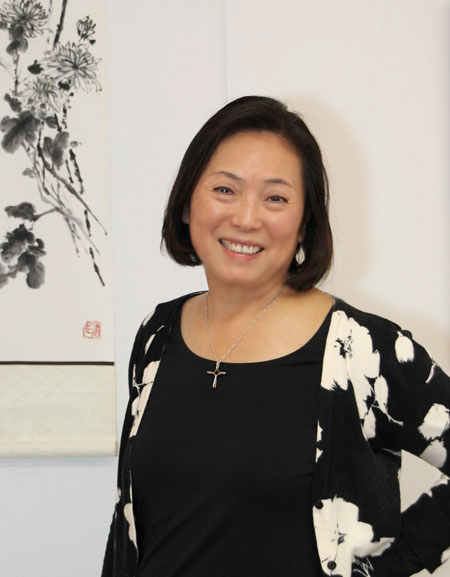 Amy was born and raised in Taipei, Taiwan and began her training in Chinese Brush painting at the age of 13. She spent most of her childhood leisure time in her art teacher’s studios, observing and copying their work. The day came when one of her teachers told her that he couldn’t differentiate her painting from his. She then knew it was time to search for a style of her own. She moved to California from Taiwan, where studied fine art at the California College of Arts and Crafts (now College of Arts) in Oakland, CA, earning a B.F.A. degree with honors. During those years, she studied traditional methods of Western art and began to work on integrating eastern and western aesthetic points of view. This exploration of East and West continues to be the foundation for her creative pursuits–she describes her work as a fusion of her lifelong experience in two cultures. Amy’s paintings integrate the unity of her thoughts, feelings, and energy. She starts with traditional Chinese genres–flora, fauna, and landscape, however, the merging of eastern and western influences has an unmistakable imprint on the outcome. 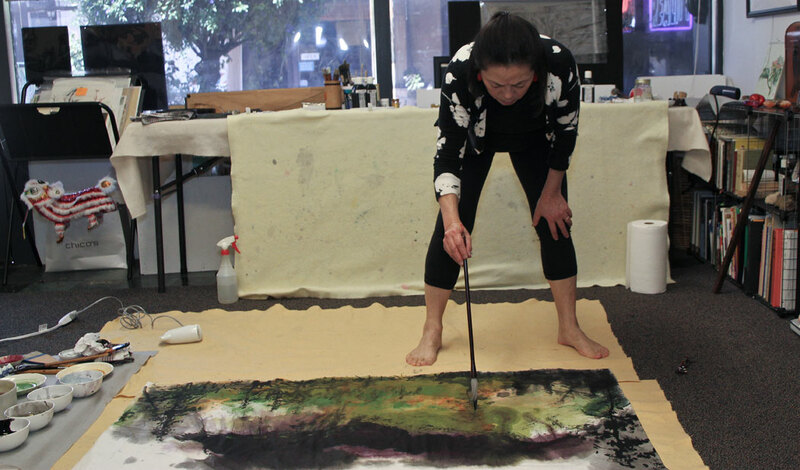 For example, her recent work “Forest Series” are large-scale landscape paintings where she applied pour ink technique with bold Chinese calligraphy strokes and bright colors to describe her desire of capturing the sense of time and space. In 2004, Amy received a grant to spend three months in Hangzhou, China, at the China Academy of Art. There she studied with masters from Tang and Sung Dynasties who inspired and enriched her work tremendously. In 2006, she had had the privilege to study under master Pei-Jen Hau and was encouraged to develop her large-scale landscape paintings further. Amy’s award-winning work has been featured in solo and group shows in the United States and China.